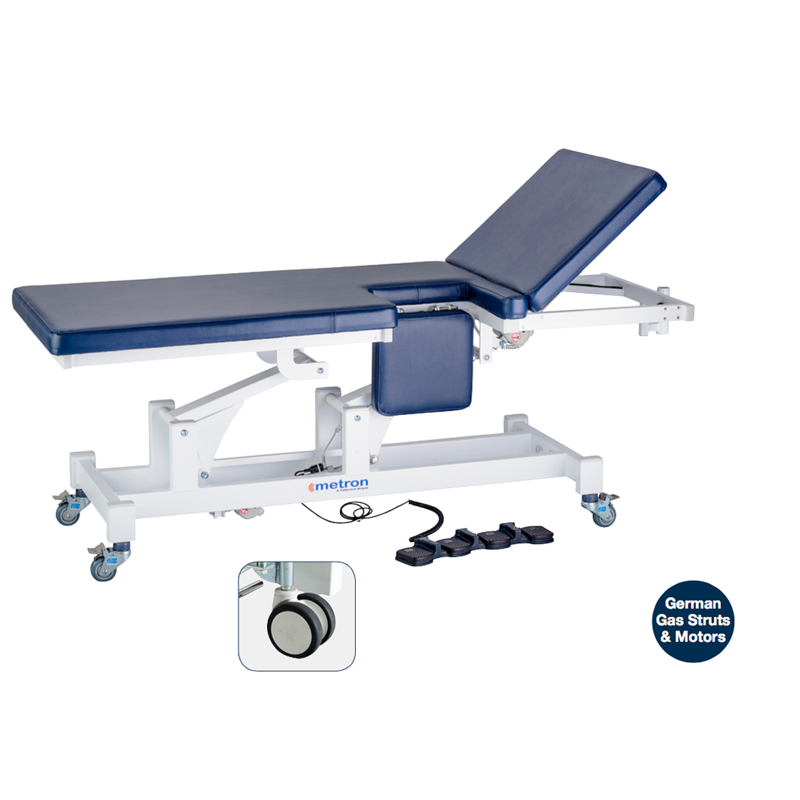 This table features motorised height adjustment for patient comfort and safety. It also features an electronically operated head section for ease of positioning with minimal effort for the practitioner. The access flap has a simple release mechanism to allow it to drop away 90 degrees for accurate apical imaging across a full range of adult patient sizes. The table top cushioning has been developed and constructed for maximum patient comfort. The table comes with 4 lockable, rotating castors for ease of movement along with stability and security once in position. The table has an optional drop away/removable safety rail.